Instagram has been rolling out new features for its app lately. Earlier this month, it rolled out the Zoom feature for Android which was already rolled out for iOS, and, an update rolled out last week for Android and iOS allows the users to hide inappropriate comments. Now, the company has started rolling out a new feature called ‘Save Draft’. Well, as the name suggests, you can save the post as a Draft and come back later to post it. While this feature isn’t anything new, it’s better to have it. 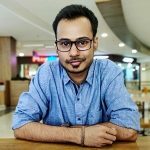 It is useful for those users who are never happy with the editing of their photo. In such cases, they can just save the post as Draft and come back again to actually post it. This can also be useful to Social Media Managers. They can just save multiple photos as drafts and post them as and when needed. However, do note that you can only save your post as a draft when it has been edited. If you don’t edit the post, tag people or add a caption or location, you won’t be able to save the post as a draft. To see the posts you’ve saved as a draft, tap on the camera icon and then tap on Library. Posts will appear at the bottom of the screen below Drafts. 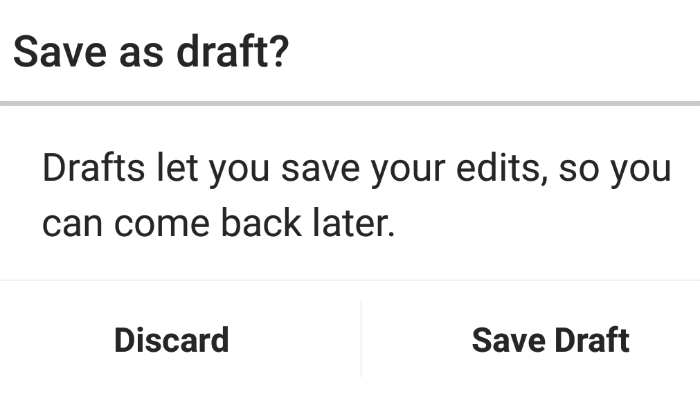 The update is still rolling out so it may take some time before you are actually able to save a post as Draft.